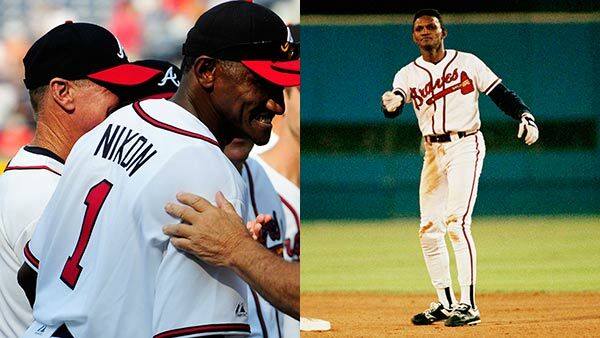 WOODSTOCK, Ga. -- Police in the greater Atlanta area say former Atlanta Braves player Otis Nixon, who went missing over the weekend, has been located. Police spokeswoman Brittany Duncan in the metro Atlanta suburb of Woodstock said Monday afternoon that Nixon is safe, but had no other details on where he was found or the circumstances. Duncan said there was no foul play involved and that police consider the case closed. Duncan said Nixon's girlfriend had reported him missing. Woodstock police say Nixon, who's 58, was last seen leaving home Saturday morning in a gray Range Rover. Police say he was on his way to a golf course where he had a tee time, but never arrived.